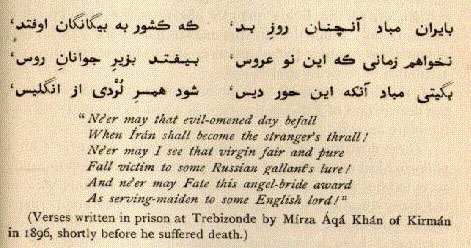 Mirza Reza Kirmani's last poem in prison. He was executed for assassinating Nasserdin Shah. From Edward G. Browne's The Persian Revolution of 1905-1909.